Spring is right around the corner; the weather is getting warmer, the birds are chirping and flowers are starting to bloom. Unfortunately, after a long winter, it's common for your home to feel like it's stuck in a rut. Winter can be tough on a home's interior, and that's why people love to give their home a thorough cleaning when spring rolls around. 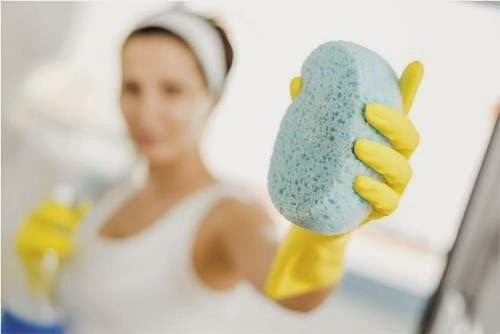 Spring cleaning gives you the opportunity to freshen up your home, and it gives you the chance to clean up before the lazy days of summer. When the weather is cold, it's easy for your home to get cluttered; you don't want to go outside, so you leave unneeded items everywhere. Now that the weather is getting warmer, go through your stuff; find items you don't need, and throw them out or sell them on Ebay or Craigslist. This is a great wayto generate some extra income, and it makes your home feel spacious and clean. When you clean the clutter, you'll feel a weight lifted from your chest. Trust me; clearing out the clutter makes your home so much easier to clean. If you're serious about cleaning, you need to get your carpets and furniture cleaned. Winter is hard on your carpets and furniture; snow and dirt get tracked into your home during the winter, and it mostly ends up getting absorbed into your carpets and upholstery. You can't have a clean home with stained and dingy carpets, so it's important to get a deep cleaning after the winter. It's not practical to clean your carpets and furniture yourself, and you'll see the best results when you call a professional cleaner. Modern-day cleaners use non-toxic chemicals and solutions, and their specially designed green products give your carpets and upholstery a deep cleaning. They don't charge much, they're quick and they always do an excellent job. If you've ever tried cleaning a carpet yourself, you know that it's not worth it; doing it yourself is hard, and you never get the same results that you get with a professional. The bathroom is another area that needs to be cleaned when you want your home to look nice and tidy. Sure, you can clean other areas of your home, but a dirty bathroom just makes your house look bad; it doesn't matter how clean everything else is. First, I like to clean my shower with a combination of: ¾ cup of baking soda, ¼ cup of bleach, an old rag and a scrub brush. Warm winter showers tend to make your tiles look dark and dingy, but when you mix your own shower cleaning agent, you can have your shower looking like new in about 15 minutes, and it only costs a couple of bucks. Mix the baking soda and bleach; when it forms a gooey paste, apply it to your shower walls. Wait a couple of minutes, and then scrub the paste into your showers grout. Wait for a couple more minutes, and then use a damp rag to clean it off of your walls. Your shower will glisten like new. While you're at it, you can remove stubborn streaks on your shower door with used dryer sheets. Trust me. It works. Just moisten your old sheets, and wipe away at your door. You'll notice that streaks disappear with almost no effort on your part. Spring cleaning is good for the mind, body and soul. Fortunately, you can do it quickly, and you don't have to spend a fortune on it. I like to call a professional in for deep carpet and upholstery cleaning, but that's only because they do a better job than me at an extremely low price; it's worth it. Other than that, you should be able to get your cleaning done quickly and efficiently, and once you do, you'll wipe away your winter blues.